John Carew is a shareholder, President and Chief Investment Officer of Tandem Investment Advisors, Inc. Having begun his career in 1985 with Thomson McKinnon Securities, Inc., Mr. Carew founded Tandem in 1990. 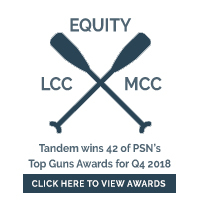 Under Mr. Carew’s guidance, Tandem’s investment team has been nationally recognized numerous times by leading manager databases for performance and lower volatility. Mr. Carew is a frequent guest speaker on topics including dividend growth strategies, low volatility equity investing and general market history and overview. Mr. Carew is a past National Board Member and Regional Board Chair for Recording for the Blind & Dyslexic (now Learning Ally), a non-profit organization dedicated to providing access to the written word. He is a graduate of the University of Virginia with a Bachelor of Arts degree in Economics. Billy Little is a shareholder, Vice President and Lead Portfolio Manager for Tandem Investment Advisors, Inc., directing all of Tandem’s quantitative and fundamental research. Mr. Little also oversees Tandem’s internship program. Having begun his career in the investment industry in 2004 as a Financial Advisor with Ameriprise Financial in Baltimore, Maryland, Mr. Little is a regular member of the CFA Institute and past President of the CFA Society South Carolina. Mr. Little graduated from the College of Charleston with a Bachelor of Arts degree in Business Administration with a concentration in Finance. Ben Carew is a shareholder and Portfolio Manager for Tandem Investment Advisors, Inc. Mr. Carew joined Tandem in 2013. He has had numerous responsibilities at Tandem including Research Intern and Performance Analyst. His present duties include quantitative and fundamental research and portfolio management. Mr. Carew is past U.S. 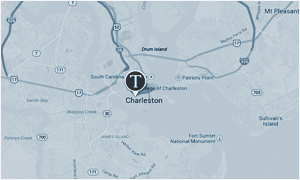 Economist for the 3rd College of Charleston Investment Program. He is a graduate of the College of Charleston’s School of Business, earning a Bachelor of Arts degree in Economics with a minor in Finance. 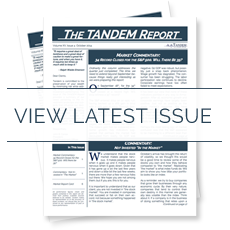 Tandem sponsors an internship program for college seniors with appropriate prerequisites. Two interns per semester receive three hours of college credit while operating Tandem’s proprietary quantitative research model and preparing research reports for the investment team. During the school year interns are selected from a pool of applicants from the College of Charleston. Summer interns have come from The University of the South, The University of Virginia, North Carolina State University, Clemson University, The Citadel and Hampden Sydney College.